America’s Greatest Recent Inventions #4thOfJuly #AmericanInventions « Adafruit Industries – Makers, hackers, artists, designers and engineers! America is home to some of the greatest inventors and inventions in the world. 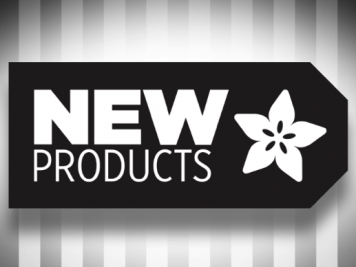 Here are some of the our favorite inventions to come out of the USA. When hearing of the Golden Gate Bridge, most Americans picture its slender arching cables hanging from two tall, ruby red towers. At the time of its completion in 1937, this impressive suspension bridge was the longest of its type, spanning nearly 4,200 feet, and was considered the best of its time. While this bridge is located in California, the technology that made the bridge possible can be traced to a small bridge built over Jacob’s Creek in Westmoreland County and a judge with a passion for engineering…. 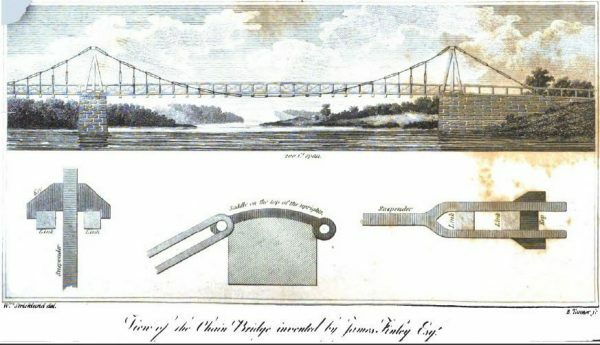 While Finley’s bridge proved much better than wooden truss bridges, it also proved much more viable than the ancient suspension bridges which influenced it. One of the most noticeable differences of Finley’s bridge was that it had a solid and level horizontal deck. This improvement meant the bridge would be able to handle carts and other wheeled vehicles easily, as opposed to just simple foot traffic. Additionally, Finley’s bridge had support points for the cables at both ends of the bridge, not just one. This innovation allowed the weight to be distributed more evenly, resulting in more strength. Most importantly, Finley implemented support joists—beams running horizontally beneath the deck—to aid in bearing weight and to prevent waves in the bridge. When pressure is applied to the bridge deck, small waves are sent out from the point of contact, affecting the stability and shape of the deck. The joists ultimately helped in absorbing the force and ensuring the deck remained level. Also, the joists aided in wind protection, keeping the bridge and the deck in place against swaying. It won’t surprise anybody to learn that the very first skyscraper went up in the United States, but it will surprise some to learn that it went up in Chicago. 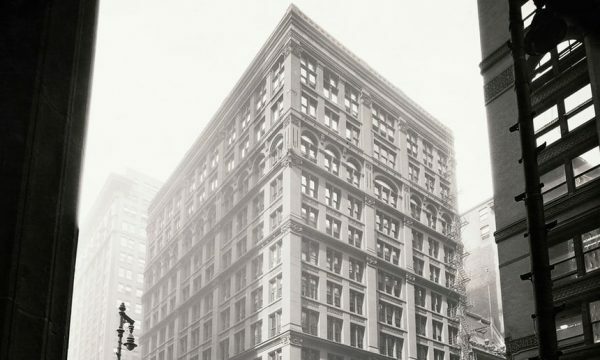 While it didn’t take Manhattan long to claim the steel-framed high-rise as its own, the skyscraper boom began in the capital of the American Midwest in 1885 with William Le Baron Jenney’s Home Insurance Building, which rose to its then-impressive height of 10 storeys (and, after an 1890 addition, 12) by means of metal, rather than just masonry. Legend has it that Jenney, an engineer by training and an École Centrale Paris classmate of Gustave Eiffel (designer of the eponymous tower), first suspected that an iron skeleton could hold up a building when he saw his wife place a heavy book atop a small birdcage, which easily supported its weight. This opened a new chapter in the history of towers, helped by the Great Chicago Fire (in which more than three square miles of the mostly wooden central city burned to the ground in 1871), and by Chicago’s surging 1880s economy. Machine-spun cotton candy was invented in 1897 by the dentist William Morrison and confectioner John C. Wharton, and first introduced to a wide audience at the 1904 World’s Fair as “Fairy Floss” with great success, selling 68,655 boxes at 25¢ per box (equivalent to $6 per box today). Joseph Lascaux, a dentist from New Orleans, Louisiana, invented a similar cotton candy machine in 1921. In fact, the Lascaux patent named the sweet confection “cotton candy” and the “fairy floss” name faded away, although it retains this name in Australia. 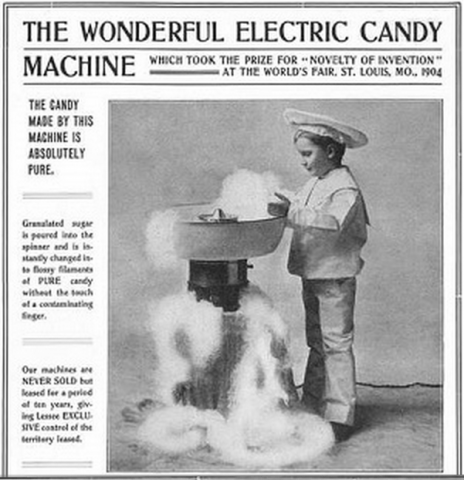 In the 1970s, an automatic cotton candy machine was created which made the product and packaged it. This made it easier to produce and available to sell at carnivals, fairs, and stores in the 1970s and on. In electronics, a transistor is a semiconductor device commonly used to amplify or switch electronic signals. Because the controlled output power can be much larger than the controlling input power, the transistor provides amplification of a signal. The transistor is the fundamental building block of all modern electronic devices, and is used in radio, telephone, computer, and other electronic systems. From November 17, 1947 to December 23, 1947, John Bardeen and Walter Brattain at AT&T Bell Labs, underwent experimentations and finally observed that when two gold point contacts were applied to a crystal of germanium, a signal was produced whereby the output power was larger than the input. The manager of the Bell Labs semiconductor research group, William Shockley, saw the potential in this and worked over the next few months greatly expanding the knowledge of semiconductors in order to construct the first point-contact transistor. 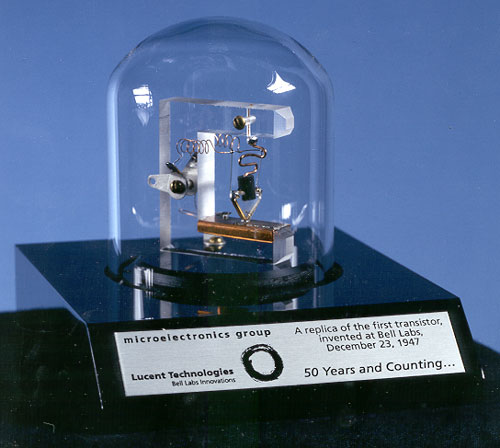 Shockley is considered by many to be the “father” of the transistor. Hence, in recognition of his work, the transistor is widely, yet not universally acknowledged as the most important invention of the entire 20th century since it forms today’s building blocks of processors found and used in almost every modern computing and electronics device. In recognition of their invention of the transistor, Shockley, Bardeen and Brattain were jointly awarded the 1956 Nobel Prize in Physics. 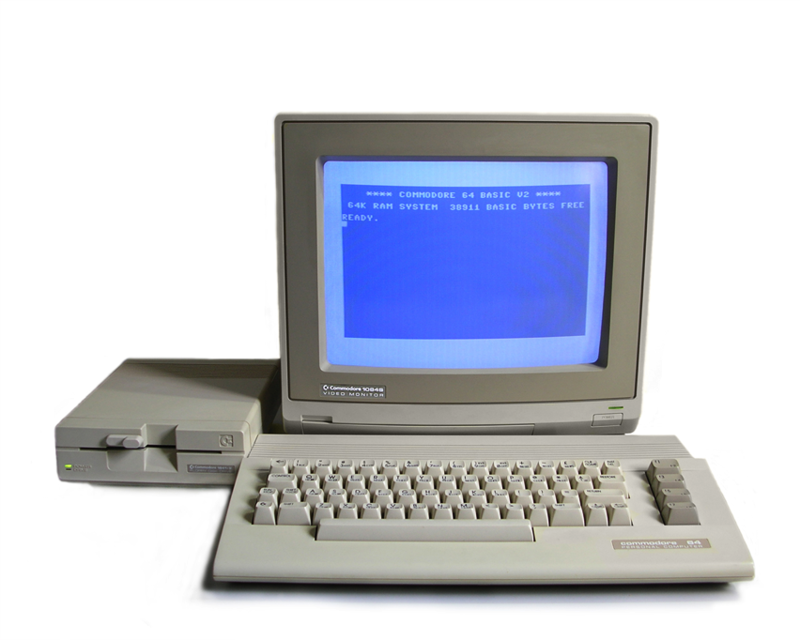 The personal computer (PC) is any computer whose original sales price, size, and capabilities make it useful for individuals, and which is intended to be operated directly by an end user, with no intervening computer operator. The Kenbak-1 is officially credited by the Computer History Museum to be the world’s first personal computer which was invented in 1971 by John Blankenbaker. With a price tag of $750 and after selling only 40 machines, Kenbak Corporation closed its doors in 1973. 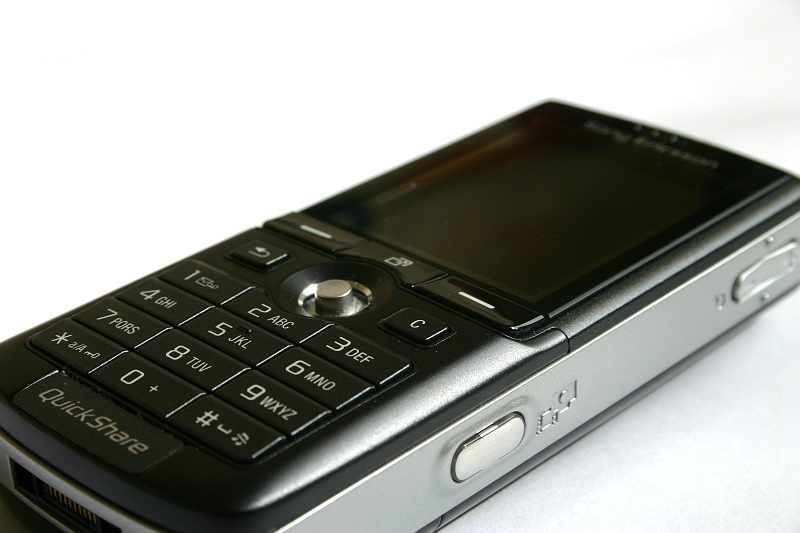 A mobile phone, or cell phone, is a long-range, electronic device used for mobile voice or data communication over a network of specialized base stations known as cell sites. 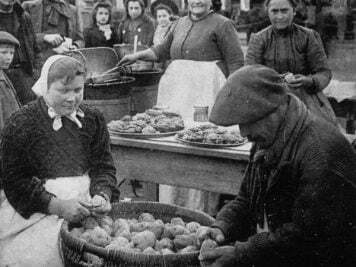 Early mobile FM radio telephones were in use for many years, but since the number of radio frequencies were very limited in any area, the number of phone calls were also very limited. 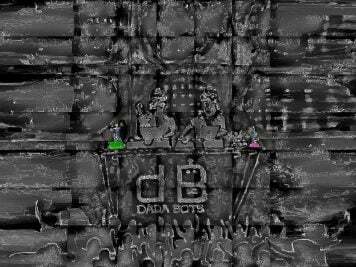 To solve this problem, there could be many small areas called cells which share the same frequencies. When users moved from one area to another while calling, the call would have to be switched over automatically without losing the call. In this system, a small number of radio frequencies could accommodate a huge number of calls. The first mobile call was made from a car phone in St. Louis, Missouri on June 17, 1946, but the system was impractical from what is considered a portable handset today. The equipment weighed 80 lbs, and the AT&T service, basically a massive party line, cost $30 per month plus 30 to 40 cents per local call. The basic network and supporting infrastructure of hexagonal cells used to support a mobile telephony system while remaining on the same channel were devised by Douglas H. Ring and W. Rae Young at AT&T Bell Labs in 1947. Finally in 1973, Martin Cooper invented the first handheld cellular/mobile phone. His first mobile phone call was made to Joel S. Engel in April 1973. The Space Shuttle was a partially reusable low Earth orbital spacecraft system operated by the U.S. National Aeronautics and Space Administration (NASA), as part of the Space Shuttle program. Its official program name was Space Transportation System (STS), taken from a 1969 plan for a system of reusable spacecraft of which it was the only item funded for development. The first of four orbital test flights occurred in 1981, leading to operational flights beginning in 1982. 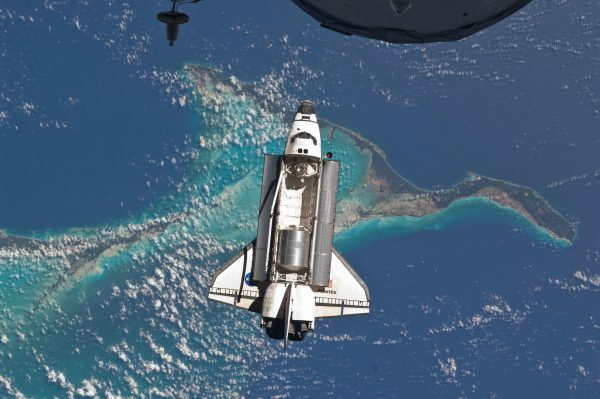 Five complete Shuttle systems were built and used on a total of 135 missions from 1981 to 2011, launched from the Kennedy Space Center (KSC) in Florida. Operational missions launched numerous satellites, interplanetary probes, and the Hubble Space Telescope (HST); conducted science experiments in orbit; and participated in construction and servicing of the International Space Station. The Shuttle fleet’s total mission time was 1322 days, 19 hours, 21 minutes and 23 seconds. Not to be confused with a separate application known as the World wide web which was invented much later in the early 1990s (see article on the English inventor Tim Berners-Lee), the Internet is the global system of overall interconnected computer networks that use the standardized Internet Protocol Suite (TCP/IP) to serve billions of users worldwide. 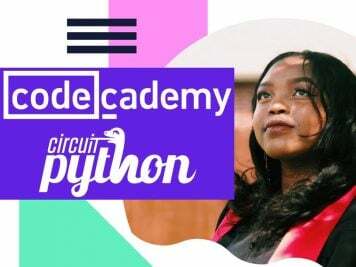 It is a network of networks that consists of millions of private and public, academic, business, and government networks of local to global scope that are linked by copper wires, fiber-optic cables, wireless connections, and other technologies. The concept of packet switching of a network was first explored by Paul Baran in the early 1960s, and the mathematical formulations behind packet switching were later devised by Leonard Kleinrock. On October 29, 1969, the world’s first electronic computer network, the ARPANET, was established between nodes at Leonard Kleinrock’s lab at UCLA and Douglas Engelbart’s lab at the Stanford Research Institute (now SRI International). 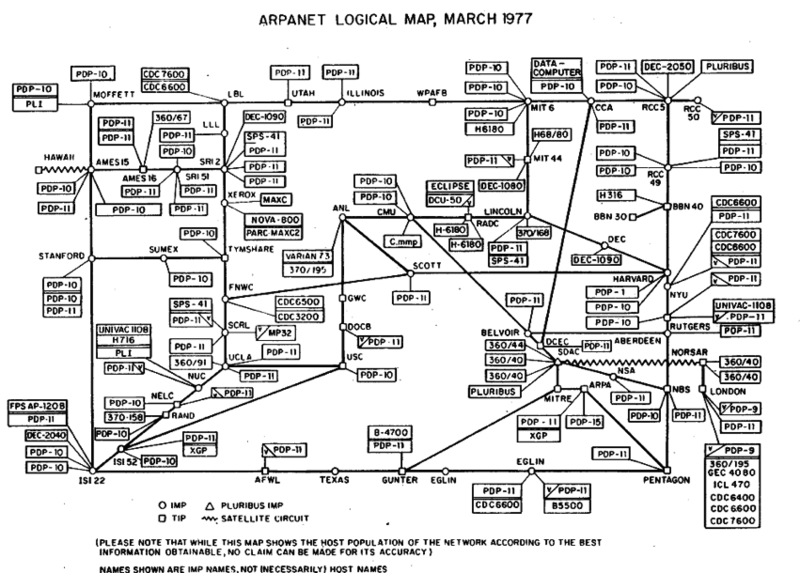 Another milestone occurred in 1973 when Bob Kahn and Vinton Cerf co-invented Internet Protocol and Transmission Control Protocol while working on ARPANET at the United States Department of Defense. The first TCP/IP-wide area network was operational on January 1, 1983, when the United States’ National Science Foundation (NSF) constructed the university network backbone that would later become the NSFNet. This date is held as the “birth” of the Internet. A CMOS image sensor (complementary metal-oxide semiconductor) is an image sensor consisting of an integrated circuit containing an array of pixel sensors, each pixel containing a photodetector and an active amplifier. Starting at the same point, they have to convert light into electrons by using the CMOS process. 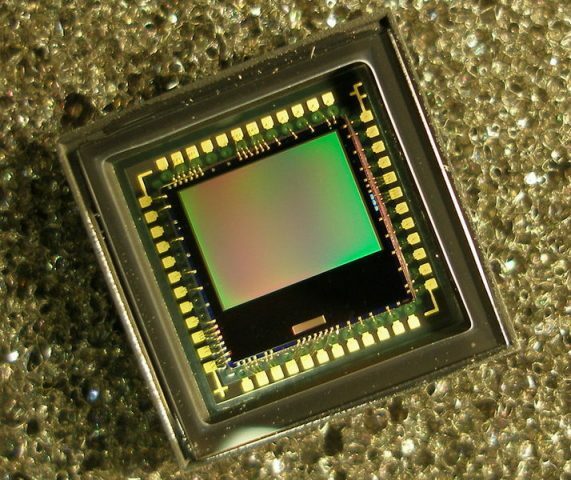 CMOS image sensors can be found in digital SLR cameras, embedded web-cams, video cameras, automotive safety systems, swallowable-pill cameras, toys and video games, and wireless video-security networks. The renowned American physicist and engineer Eric Fossum invented the CMOS image sensor while working at NASA’s Jet Propulsion Laboratory in Pasadena, California. On January 28, 1994, Fossum filed U.S. patent #5,471,515, which was issued to him on November 28, 1995. 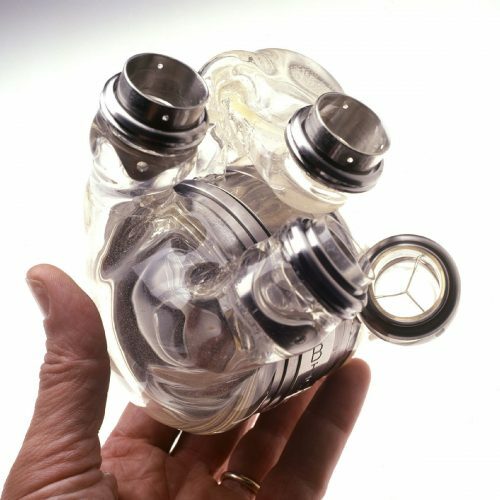 AbioCor was a total artificial heart (TAH) developed by the Massachusetts-based company AbioMed. It was fully implantable within a patient, due to a combination of advances in miniaturization, biosensors, plastics and energy transfer. The AbioCor ran on a rechargeable source of power. The internal battery was charged by a transcutaneous energy transmission (TET) system, meaning that no wires or tubes penetrated the skin, reducing the risk of infection. However, because of its size, this heart was only compatible with men who had a large frame. It had a product life expectancy of 18 months. AbioMed, Inc. began development of the AbioCor device in the 1990s, beginning animal studies in 1998 in preparation to demonstrate readiness for formal clinical trials in humans.On January 30, 2001, the FDA granted AbioMed an investigational device exemption (IDE) for implantation into humans via a clinical trial. 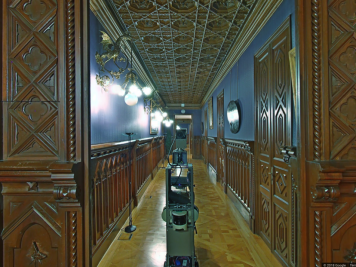 This opened the door for the first implantation of the AbioCor into Robert Tools on July 2, 2001. He lived for 151 days before having a fatal cerebrovascular accident. Time magazine awarded the AbioCor its Invention of the Year award in late 2001. Curiosity is a car-sized robotic rover exploring Gale Crater on Mars as part of NASA’s Mars Science Laboratory mission (MSL). Curiosity was launched from Cape Canaveral on November 26, 2011, at 15:02 UTC aboard the MSL spacecraft and landed on Aeolis Palus in Gale Crater on Mars on August 6, 2012, 05:17 UTC. The Bradbury Landing site was less than 2.4 km (1.5 mi) from the center of the rover’s touchdown target after a 560 million km (350 million mi) journey. 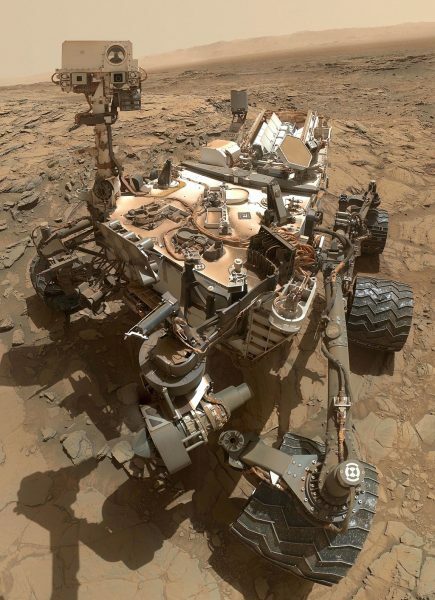 The rover’s goals include: investigation of the Martian climate and geology; assessment of whether the selected field site inside Gale Crater has ever offered environmental conditions favorable for microbial life, including investigation of the role of water; and planetary habitability studies in preparation for future human exploration. Curiosity‘s design will serve as the basis for the planned Mars 2020 rover. In December 2012, Curiosity‘s two-year mission was extended indefinitely.